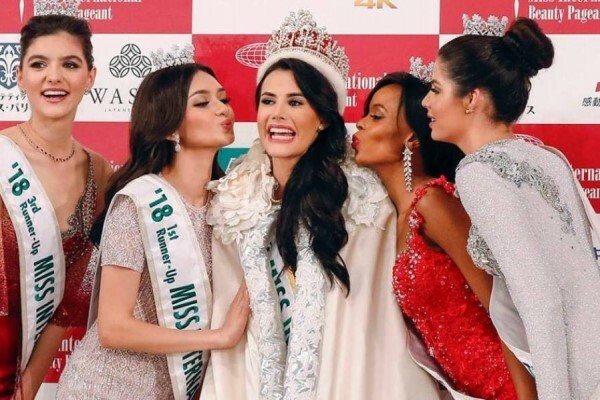 The 19-year-old Venezuelan beauty queen, a Geophysical Engineering student, has claimed the title of Miss International 2018 over the weekend, beating out the competition to win the crown on her birthday. During the pageant, Velazco Garcia, who takes piano lessons and plays tennis, gave a speech on her desire to promote reading and education among children. The Philippine’s Maria Ahtisa Manalo was the first runner-up, South Africa’s Reabetswe Sechoaro was the second runner-up, Romania’s Bianca Tirsin was the third runner-up, and Colombia’s Anabella Castro Sierra was the fourth runner-up. Ecuador’s Michelle Huet won the Best National Costume award, while Mexico’s Nebai Torres was named Best Dresser. The pageant, which aims to promote world peace, goodwill and understanding, was held at the Tokyo Dome City Hall in Japan on Friday night.